As if there was any danger of them disappearing from our screens, The Simpsons has been renewed for another two seasons. The show, which is already the longest-running primetime scripted TV series, has been given two more seasons by its network, Fox, meaning America’s most dysfunctional family will continue into their 32nd season – at least. 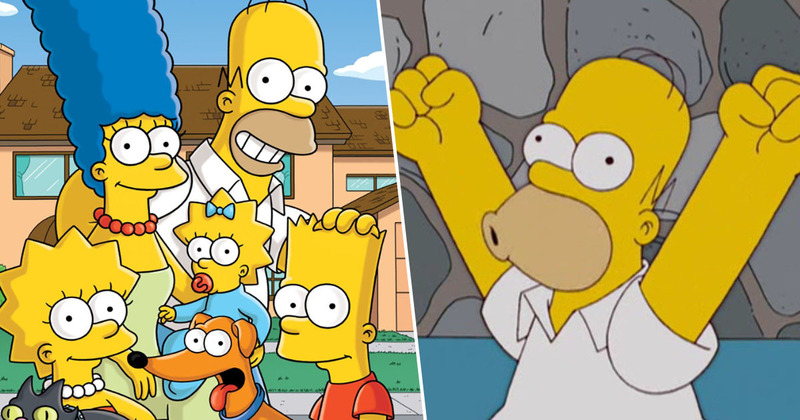 By the end of these two new seasons, The Simpsons will have clocked up a staggering 713 episodes, as well as the 2007 movie. At 22 minutes an episode, and an 87 minute movie, it would take you 10 straight days to watch it all without a break. Not that I’d recommend anyone trying that. For the uninitiated, Meet The Press is a weekly news program in America, and is the longest-running show in television history with 70 seasons and more than 3,600 episodes under its belt (thanks Wikipedia!). One question surrounding the upcoming episodes of The Simpsons will be how they handle the recent controversy regarding Apu Nahasapeemapetilon, after the depiction of the Indian character was deemed inappropriate and racially insensitive. Indian-American film producer, Adi Shankar, launched a contest in April to allow fans of The Simpsons to submit script ideas in which the ‘Apu problem’ could be rectified. According to Indiewire, the producer hoped to find a script which ‘in a clever way subverts [Apu], pivots him, writes him out, or evolves him in a way that takes a creation that was the byproduct of a predominately Harvard-educated white male writers’ room, and transforms it into a fresh, funny, and realistic portrayal of Indians in America’. However, despite finding ‘the perfect script’ written by family doctor Vishaal Buch – in which Apu goes from a single store owner to a thriving businessman in Springfield – it seems the creators of the show are looking at ways to quietly remove Apu from the show instead. I got some disheartening news back, that I’ve verified from multiple sources now: They’re going to drop the Apu character altogether. They aren’t going to make a big deal out of it, or anything like that, but they’ll drop him altogether just to avoid the controversy. If you are a show about cultural commentary and you are too afraid to comment on the culture, especially when it’s a component of the culture you had a hand in creating, then you are a show about cowardice. It’s not a step forward, or step backwards, it’s just a massive step sideways. After having read all these wonderful scripts, I feel like sidestepping this issue doesn’t solve it when the whole purpose of art, I would argue, is to bring us together. We’ll have to wait see how the next seasons handle the controversy. Then again, they did employ Thanos to do his thing and get rid of a few characters with the snap of his mighty fingers, so you never know.